It has been shamingly long since we last posted an update here. It’s about time we bring you guys up to date, because a lot has happened in the meantime. As you may remember from previous posts, Bart got his PhD in chemistry last year. He was recently given the opportunity to take on a job at the University of Oxford for three years to do research there. We will sorely miss Bart, both as our band leader and as a friend, and we wish him the best of luck in his new job. Bart will still be involved in Eve’s Fall though, be it at a distance. Because we don’t want to continue Eve’s Fall as a trio, and the name “the 3 J’s” is already taken by another Dutch group, we’re now also looking for an enthousiastic, talented and nice guitarist. More on this shortly, expect us to spam various musician’s boards very soon! In the meantime, if you can sing, play guitar or maybe even both, do contact us! Besides goodbyes, there’s also good news though. We’ve been working hard on songs for the new Eve’s Fall album. We’re almost ready for recordings, and waiting for fresh creative input from new band members! Eve's Fall are looking for a frontwoman who is not afraid to stick out her tongue! Who are we looking for? A woman who wants to get the most out of herself in terms of: singing, stage presence/performance and songwriting! As frontwoman we'd like to put you in the limelight! What do we offer? A furnished rehearsal space/studio in Delft, motivated musicians with a professional attitude and most importantly: fun! Our goal is to make popmusic louder! Influences are Halestorm, Paramore, Florence and the Machine, and Katy Perry. In conclusion: do you want to rock the stages with a group of musicians that will drive you to your best? Don't hesitate to send us a message! In 2011 I started Eve's Fall with Johan, Bart, Jeroen and Josha and what a blast has it been! 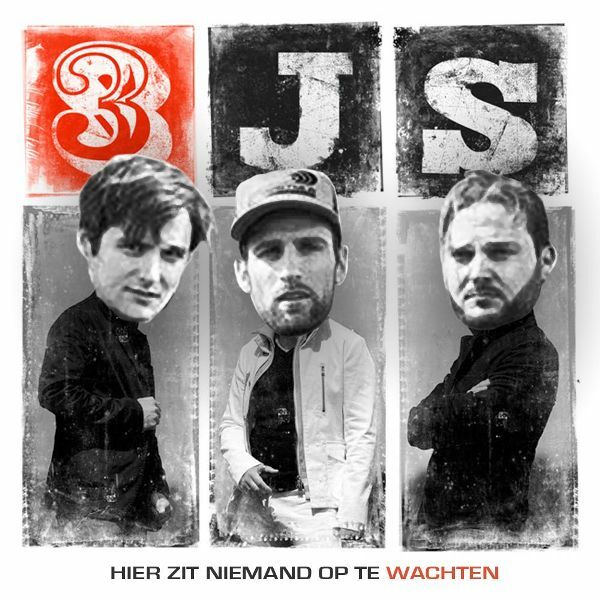 We made an album, won BandBoost 2013, played live on 3FM national radio, played at awesome festivals such as Wantijpop and Westerpop, and last but not least played lots of cool shows with awesome bands like Stream of Passion, Autumn, Kingfisher Sky, My Propane, Sin7sins and Ancient Bards. In the meantime there have also been some big changes in my private life: family expansion, a divorce, and as many of you may know I'm expecting my 4th child at the moment. Therefore it has become quite a task to combine my busy family life and my band. But Eve's Fall has always been my "lovechild" too, so it was quite a tough call deciding whether or not I should quit doing what I love so much. But I feel I'm not doing my band and you guys justice if I can't give the full 100%. Therefore it is with deep regret that I announce today Eve's Fall will be going on without me. I hope with all my heart they will soon find an awesome singer to replace me, so they can continue doing what they do so well at full force. I wish to thank all of Eve's Fall and everyone who has been important to me and the band throughout these years (Dave, Djuri, Nathalie, Manon, family and friends), photographers who shot great pics of me on stage, all the venues we've played, sound and light techs, and all our followers, fans and friends for all the fantastic times I shared with you guys and this band. I won't lightly forget any of it! Website made by Bart Limburg, Nathalie van Vugt and Johan van Heusden.